Auto accidents in Illinois have many different causes, and they can result in different types of serious injuries. If you have been charged with a criminal offense in Illinois, do not put off consulting an experienced criminal defense attorney—you need to be proactive and start working on your case’s defense as soon as you can. If you have been charged with DUI, you can fight the charge with aid from an experienced DUI attorney. If you are facing a criminal charge in Schaumburg, Warrenville, Orland Park, or elsewhere in the region, turn to the experienced Illinois criminal defense attorney at the LaPapa Law Group in Chicago, IL. We are here to help you defend your case in court. At LaPapa Law Group, we believe that as a defendant charged with a criminal offense, you have the right to a competent legal counsel and a fair trial by an impartial jury. If you want to ensure that your rights are upheld in court, work with an experienced criminal defense attorney who will fight for you. Whether you are facing a misdemeanor, felony, DUI, or traffic-related charge, know that LaPapa Law Group is here to provide the legal representation that you need. Auto accidents in Illinois have many different causes, and they can result in different types of serious injuries. 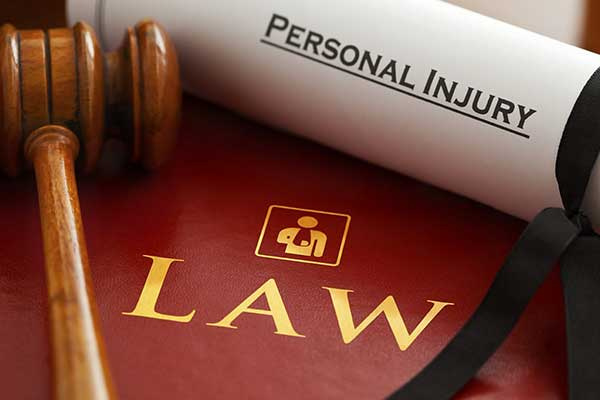 LaPapa Law Group can help plaintiffs seek compensation for a wide variety of injuries, including brain injuries, broken bones, facial lacerations, scarring, and other serious wounds. We help clients throughout the area fight for their rights as quickly and favorably as possible. If you have been charged with a criminal offense in Illinois, do not put off consulting an experienced criminal defense attorney—you need to be proactive and start working on your case’s defense as soon as you can. Contact LaPapa Law Group today to schedule your initial consultation. An improperly calibrated Breathalyzer has provided inaccurate results. The driver’s appearance or driving was due to exhaustion or illness, rather than drug influence. Gregory R. LaPapa attended law school at DePaul University. He has represented countless clients in a variety of case types, including defense against violent crime charges, controlled substance (drug possession), individuals seeking driver’s license reinstatement, clients facing charges for serious traffic violations, and homeowners facing foreclosure. At LaPapa Law Group, we understand that life doesn’t always go as planned. Legal problems can arise anytime, whether you are financially stable or not. Because of this, we are glad to accept credit cards and offer flexible payment plans for our legal representation services. For more information, kindly contact our law office. A member of our team will provide the assistance that you need.